To whom did the Babylonian Kingdom fall in 539 BC? 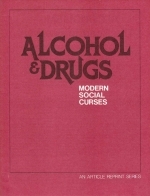 Alcoholism is a worldwide problem especially in advanced nations, but it is also a problem for which the mode and level of treatment is common to most nations. On May 8, 1976, 52 prominent people met in Washington, D.C., to announce to the press and the world: "We are recovered alcoholics." Dubbed "Operation Understanding," the media event was sponsored by the National Council on Alcoholism to dispel the myth that alcoholism doesn't happen to "nice" people and to reduce the moral stigma that cripples efforts to successfully treat the disease. "Operation Understanding" also underscored the tact that people can recover from alcoholism and that there are resources and agencies that can help alcoholics resume - or enjoy tor the first time - normal, happy, successful lives without alcohol. To find out what resources exist on a local level to help the alcoholic achieve sobriety, we sent a contributing editor into the community of Pasadena, California. Here is his report.